The community comes to the rescue with some great ideas for mods – just 2 days after the release of The Sims 4 Jungle Adventure Game Pack. Down below you can check out all the mods for The Sims 4 Jungle Adventure. To download a mod of your choice simply click on the header of each mod. 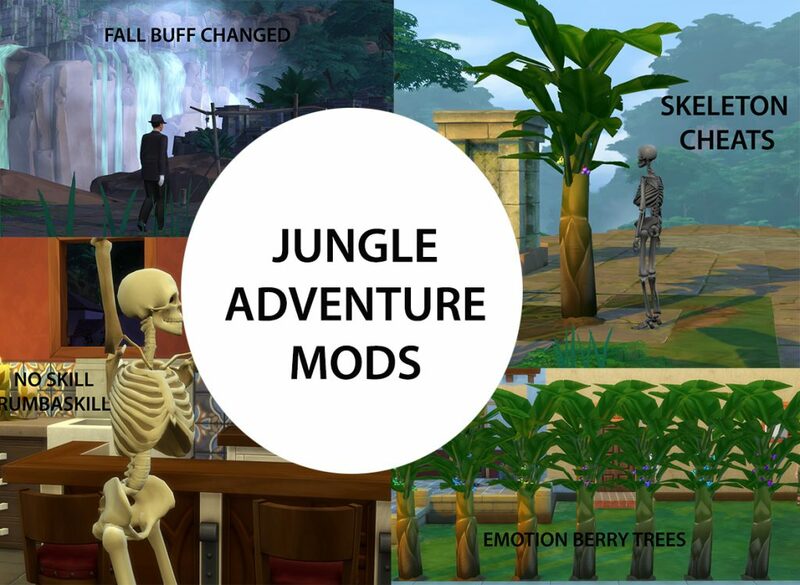 The Jungle Adventure Minor Mods created by icemunmun adds minor improvements to some of the aspects of this game pack including Emotion Berry Trees which grow particular berry per tree, improvements to the fall buffs, no skill required for the RumbaSim dance and certain cheats for skeletons. 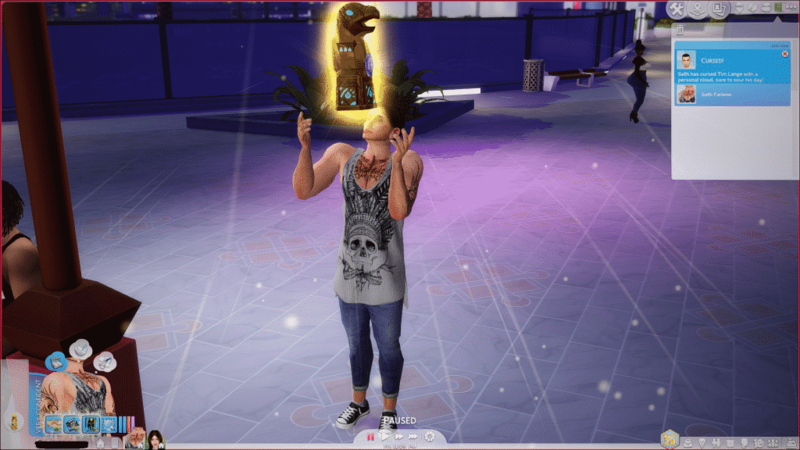 Don’t like that your Sim is treated as unemployed even though he/she is working really hard to find those precious artifacts? 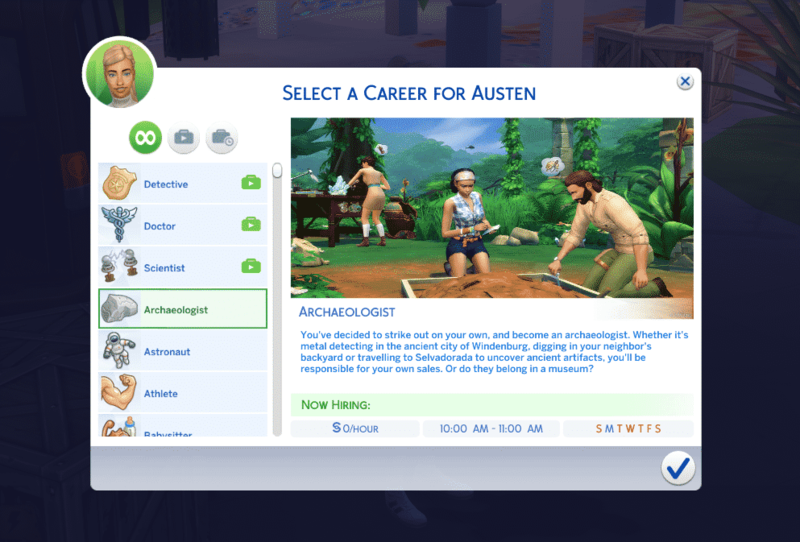 With this Mod your Sim will finally have an Archaeologist Career. There’s nothing special to it though – it just helps your Sim not listed as unemployed. 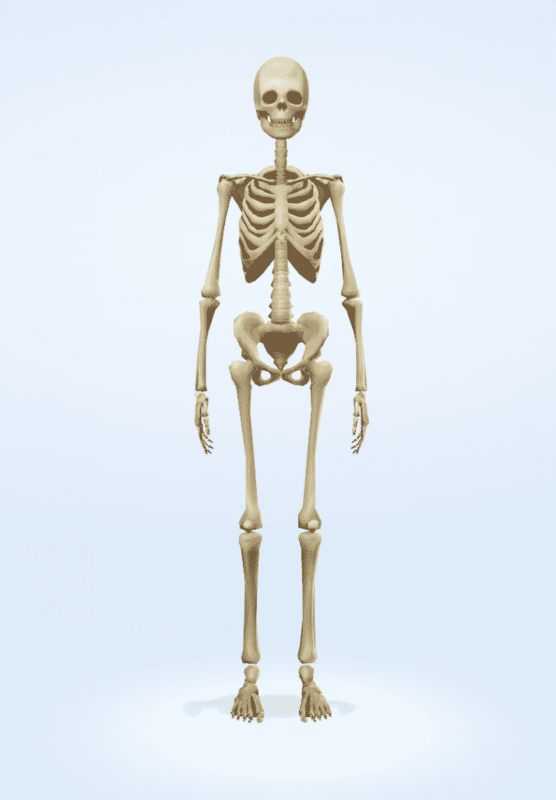 This Mod lets you pick the skeleton outfit straight from Create A Sim, turning your Sim automatically into a skeleton. With this Mod you’ll no longer need to wait for a certain amount of time in order to use the powers of the mystical relics again. I sure hope there are other skeleton costumes coming soon, the normal one is my favourite, but still, it would be great to see the others, too.